RECIPESMINE: MY FIRST AWARD!Fabulous Blog Ribbon! 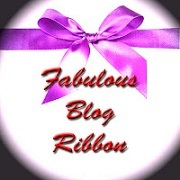 MY FIRST AWARD!Fabulous Blog Ribbon! Wow,my first award! !thank u Asmath Nawaz of http://fitforataste.blogspot.com for sharing and encouraging me in this blogosphere.....i am so happy today,pls do visit http://fitforataste.blogspot.com for yummy and delicious recipes,I cant type more ,becoz now I am not well. Congrats on your winning this fabulous award.. Thank you for remembering me and passing on dear.The fact is,this pretty rememberence and thought of you guys make it worth ! Get well soon. Congrats on your award. Wishing you many more. Thanks for sharing the award with me. Congrats on your first award,Keep rocking!! my cousin. I'm not sure whether this post is written by him as nobody else know such detailed about my problem. You'гe incrediblе! I wouldn't mind producing a post or elaborating on a number of the subjects you write concerning here. Again, awesome web log!